I'm Mike with American Dryer, and this is a demonstration of the adjustable sounds and speed feature of all our extreme air hand dryers. Unlike other models, when you order the dryer, and you're really stuck with one speed—either the standard high speed, or maybe a nozzle that makes the dryer a little slower—we have complete adjustability and flexibility in the field so that our dryer will meet your needs. Let me demonstrate. This is high speed, and that's all the way down to low, and anywhere in between is possible. Unlike other models, American Dryer extreme air hand dryers have complete adjustability and flexibility when it comes to sound and speed. Find out how easy it is to adjust a dryer's settings to meet your establishment's individual needs! 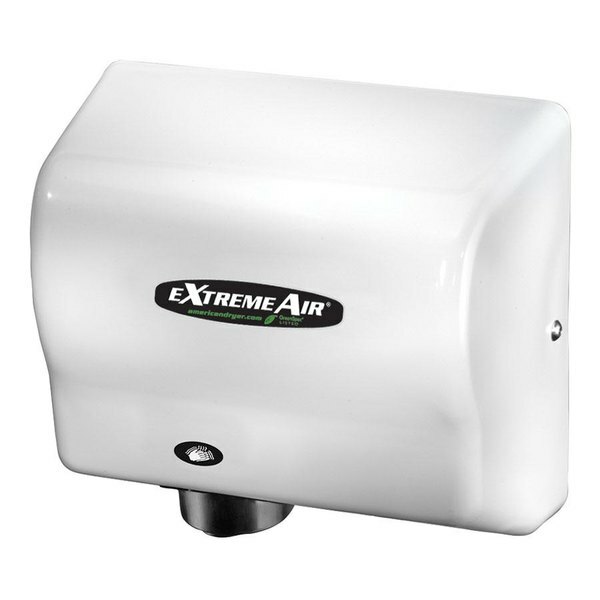 This American Dryer GXT9 ExtremeAir automatic hand dryer with white ABS cover provides a fast, easy way for employees and customers to dry their hands, while automatic, hands-free sensor detection and an antimicrobial-infused air delivery system improve sanitation! Its 5/8 hp motor and powerful heating element generate a strong, warm airflow for fast drying, and adjustable sound and speed options let you tailor operation to suit the needs of a busy sports stadium, a quiet library, or anything in between. This dryer also makes installation easy with its universal voltage feature, which lets it connect to any electrical line with a voltage of 100/240V, and 50/60 Hz. To protect it from damage, it also comes with shielded air intake vents and tamper resistant screws. This product has received the GreenSpec listing. This certification includes an unbiased list of environmentally friendly products compiled by the editors of Environmental Building News. Save $179.76 with our Recommended Product! Want a similar look with more power and a lower price? 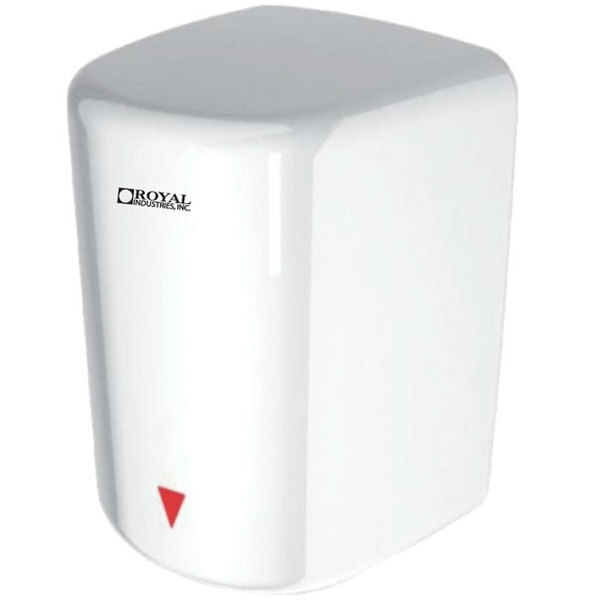 Look no further than this white high speed hand dryer! 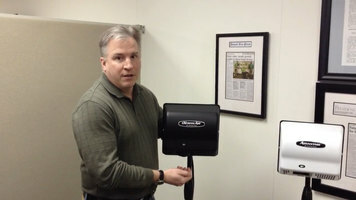 With 2200W of power, your guests' hands will get dried faster, saving you the cost of both paper towels and energy!